Get your party animal on! Twilight At Taronga and Melbourne Zoo Twilights have announced their respective open air music series for 2017 and it’s set to be huge! Each event will kick off on the 27th of January featuring some massive acts who are both Aussie, international, old and new. Old mate muso turned poli, Peter Garrett, and his band The Alter Egos will kick it off in Sydney and Jo Jo Zep & The Falcons will open festivities in Melbourne. Other stand out acts include Triple J Hottest 100 winners The Rubens, Ball Park Music, Jungle Giants, Tegan and Sara. The Living End will also play with a string quartet, “cleverly” called ‘Twangin’ At Twilight’. You could be going to something like this next year! Source. At each venue there will be a few exclusive acts to tickle the differing fancies of Sydneysiders and Melbournians. 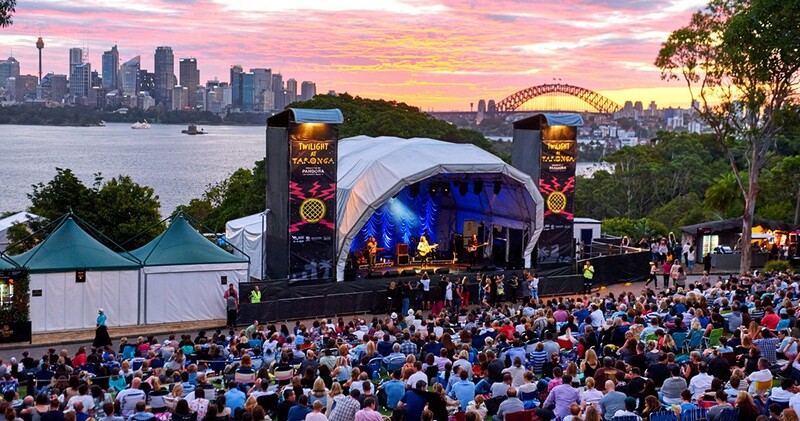 Performing exclusively at Twilight at Taronga will be Jet, Kasey Chambers with Thelma Plum and James Morrison Big Band returns to Twilight after a sell-out show in 2016. Featuring at Melbourne Zoo Twilights are Paul Dempsey, Warpaint, and Australian legends the Hoodoo Gurus. Apart from being an elephant size time of fun for gig goers and animal lovers alike, all proceeds from the Melbourne Zoo Twilights and Twilight at Taronga summer concert series go back into the ongoing conservation work of the zoos.